Dr. Ronald Toothman and Dr. Jeffrey Toothman utilize the latest in cutting-edge orthodontic technology and procedures. The result is improved accuracy in diagnosing orthodontic issues, greater patient comfort, and shorter treatment times! Getting an accurate impression is crucial for effective treatment and orthodontic care. The iOC Scanner captures the contours of tooth and gingival structures, producing a highly accurate digital orthodontic scan in just minutes. For our patients – this means no need to take traditional putty impressions and no goopy, unpleasant aftertaste! Click here to learn more about iTero. 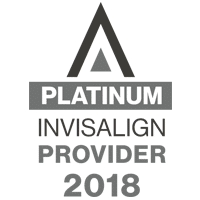 This revolutionary self-treatment aligner uses energy to help facilitate tooth movement, which may reduce the time orthodontic patients need to spend in braces. Click here to learn more about OrthoPulse. A leader in new technologies, Toothman Orthodontics is proud to have an on-site 3D Printer. This 3D Printer allows us to fabricate better quality appliances and retainers, using less shipping resources and saving time!